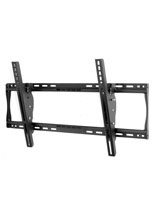 Mount your flat screen with pride and the help of this 60 inch TV wall mount selection! 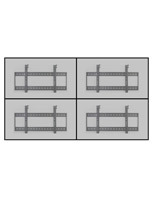 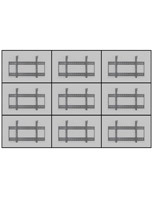 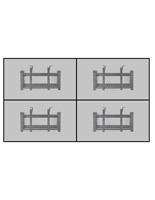 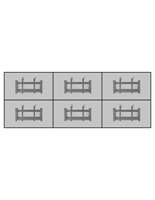 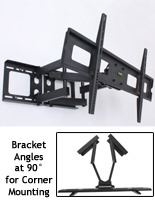 Choose from brackets designed to offer security and adjustability to your television. 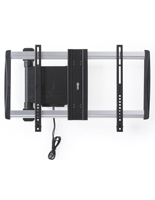 Why simply place your flat panel on a tabletop console when you can display it safely out of the way up on a wall or suspended from the ceiling? 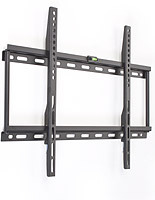 Choose a 60 inch TV wall mount to do just that. 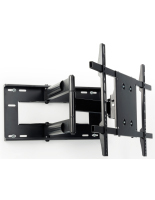 As long as the bracket has the same VESA specifications as your LED, LCD or plasma TV, you’re golden! 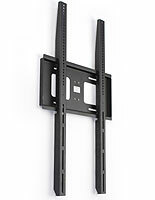 Not sure what VESA means? 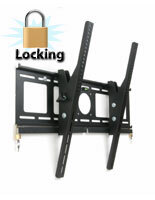 Just check out our helpful article! 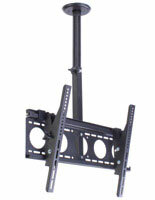 are articulating! 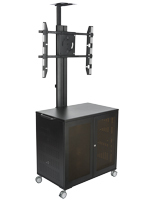 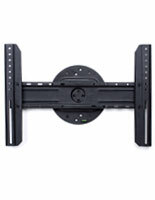 This means that you’ll be able to move your 60” TV all around through tilting, panning, rotating, and swiveling motions. 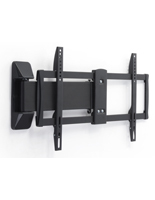 Sometimes called full motion wall mounts, these types of fixtures are great for areas with lots of foot traffic or rooms with many seats and viewing angles. 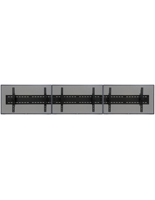 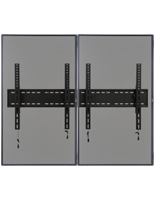 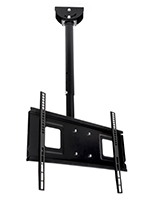 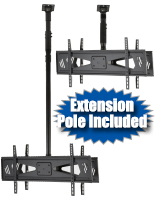 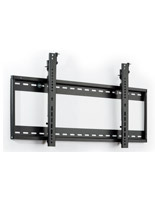 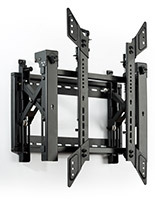 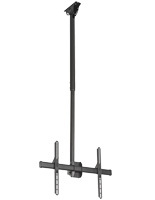 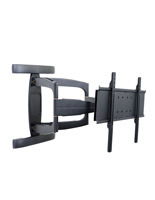 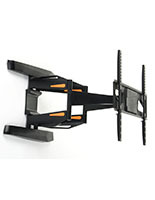 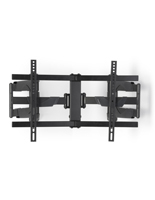 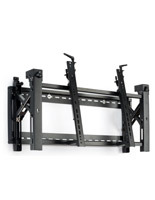 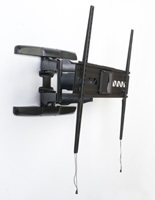 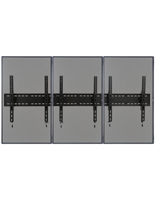 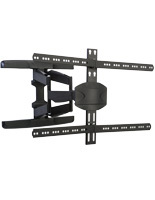 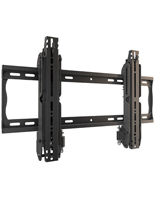 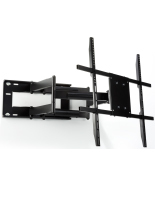 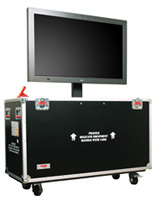 Titling 60 inch TV mounts are ideal for locations that only require a small amount of movement or adjustment. 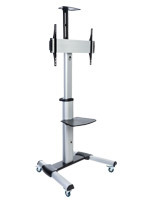 Ceiling mounts are often used in smaller waiting rooms or lobbies so as not to take up valuable floor or wall space. 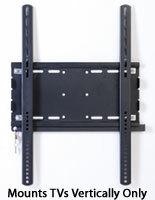 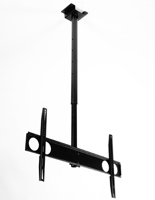 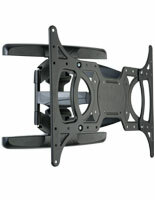 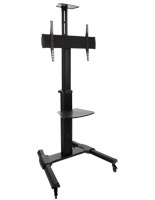 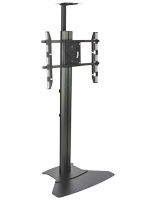 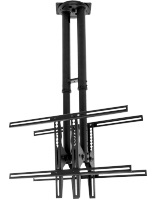 Other bracket styles of 60” televisions include low profile mounts. 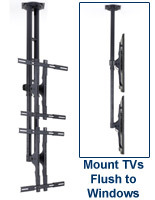 These fixtures keep flat screens flush with the wall so it’s like they’re hardly there! 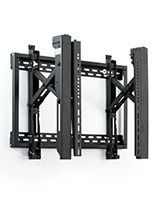 With so many styles and designs of mounting brackets, how will you ever choose?